Schools work towards gaining one of three awards – Bronze, Silver and the Green Flag award, which symbolises excellence in the field of environmental activity. Bronze and Silver are both self accredited through the Eco-Schools website and the Green Flag is externally assessed. There is a charge of £200 for Green Flag assessment. 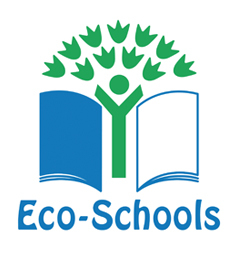 Pupils are a key element in the Eco-Schools programme, leading school’s Eco – Schools committees and carrying out audits to assess the environmental performance of the school. This group of students are supported by school staff and a Governor or parent. This group decide which environmental areas should be addressed by the school. Measuring and monitoring is an integral part of the Eco-Schools programme, providing schools with all the evidence they need to show how successful they have been with their environmental work. The school’s work should be communicated to the whole school community through notice boards, assemblies, events, articles in the school newsletter and other forms of communication. It is free for schools to join the Eco Schools programme. Children’s centres, nurseries, primary schools, secondary schools and special schools can also join. Carrying out School Travel Planning work can help contribute to you achieving Eco-Schools status. Your school can find out more on SchoolsWeb.